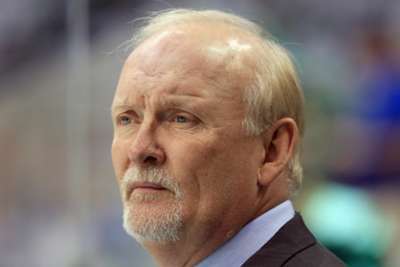 New York Rangers assistant coach Lindy Ruff will be absent for Wednesday's NHL game against the Washington Capitals with a concussion. Rangrs head coach Alain Vigneault told reporters Ruff would be back Thursday following a run-in with a puck. "He had a little accident yesterday on the ice," Vigneault said. 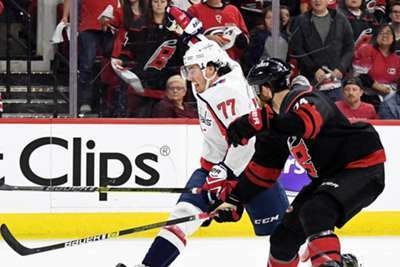 "We're not sure if he stepped on a puck, or a puck hit him, but he hit his head on the ice. "We had to take him off the ice, he went to the hospital, he's got a pretty big gash with some stitches in the back of his head." The Rangers (33-35-8), who have been eliminated from playoff contention, face off with the Capitals (45-24-7).